Longs Peak, the highest peak in all of Rocky Mountain National Park at 14,259 ft takes a stately stance high above Beaver Meadows on a beautiful morning in Rocky. 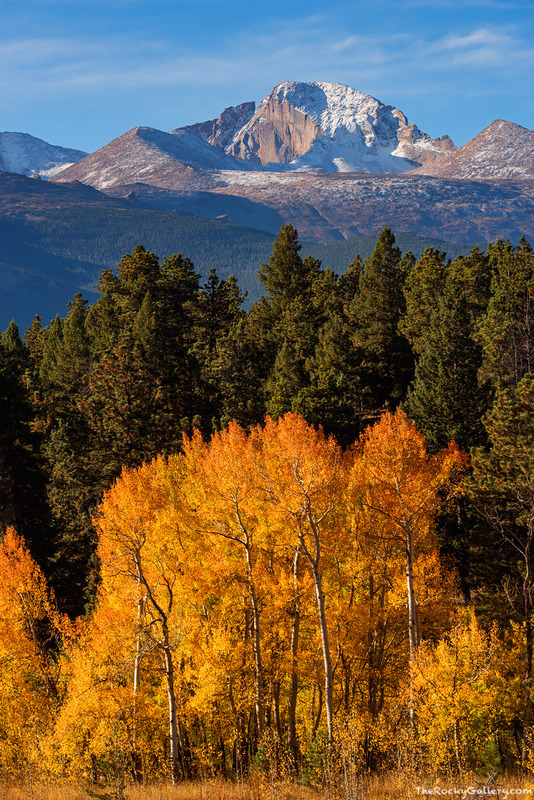 Aspen trees in Beaver Meadows have their golden autumn colors displayed highlighting the dusting of snow that already covers the summit of Longs Peak and the Diamond. Photo © copyright by Thomas Mangan.